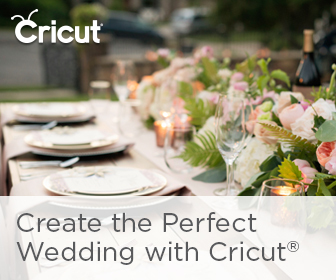 This lovely celebration brings new meaning to the idea of winery wedding style! 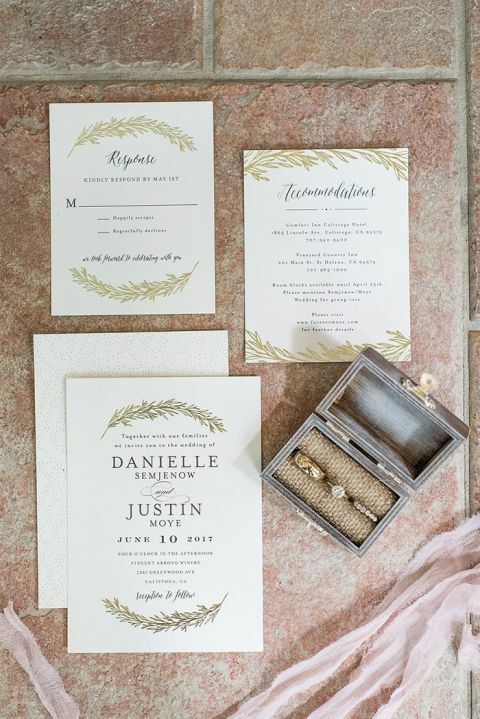 Justin and Danielle met while working for (rival) wine distributors, so it only made sense that wine should play an important part of their wedding day. They were drawn to the earthy and romantic atmosphere of wine country, and found the perfect venue at Vincent Arroyo Winery in Calistoga. 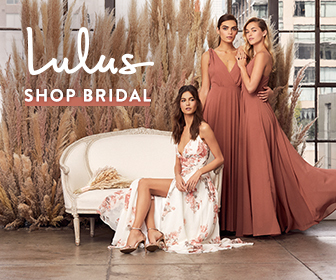 They worked with Kayla F Photography and A Beautiful Gathering to bring their wedding vision to life! When Danielle and Justin pictured their wedding day, they envisioned a celebration that was simple, elegant, and romantic. The charming garden setting of the Cottage Grove Inn inspired their lush flower arrangements of greenery with elegant white and pink blooms. Sarah’s Garden Design added sweet and organic floral decor, from their peony adorned ceremony arbor to the garlands and summer flower centerpieces that added a soft touch to heirloom candlesticks from the groom’s mother and grandmother. 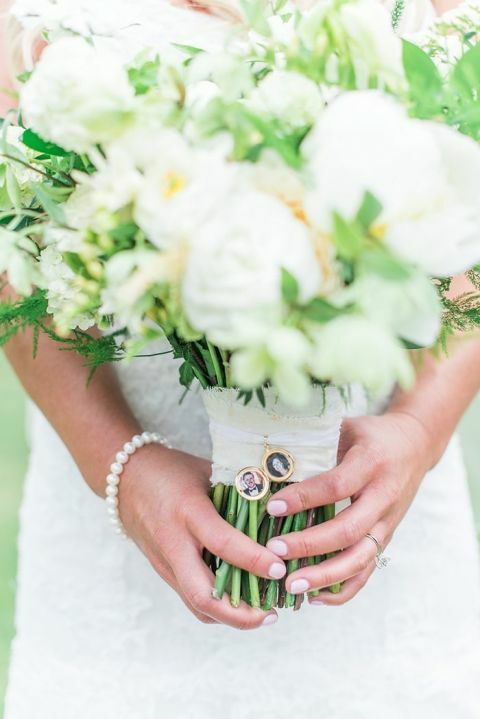 The couple added another sweet nod to their heritage, with memorial lockets for the bride’s father and grandmother that added a personal touch to her bouquet of greenery, white peonies, and hellebore. 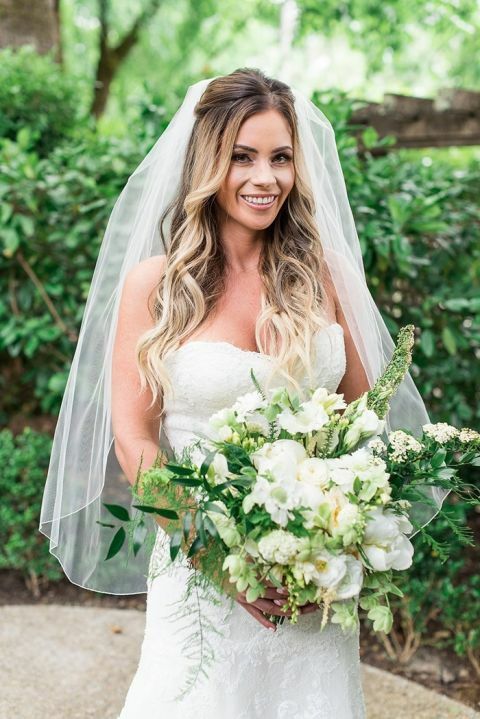 The couple embraced the laid back elegance of wine country, with a sweet lace Enzoani fit to flare wedding dress for the bride. 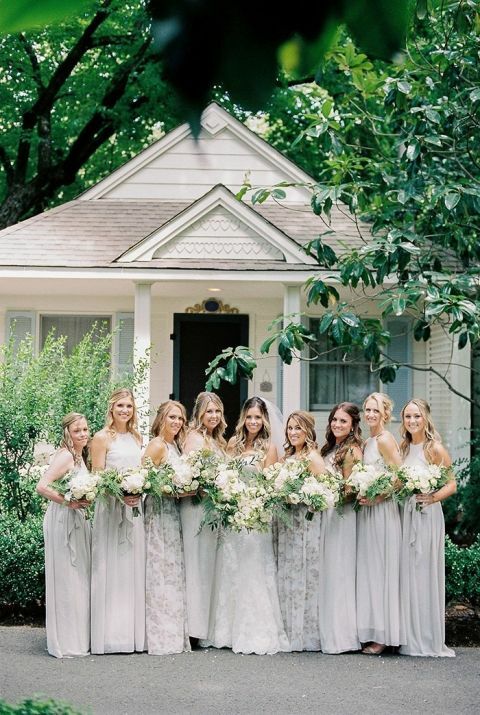 Danielle chose a subtle palette for her bridesmaids, with maxi dresses in soft taupe with accents of floral print. Justin chose the perfect mix of timeless style and Napa chic with a slate blue suit and cognac leather shoes. Even their junior attendants looked stylish, with ring bearers in suspenders and bow ties, and cowboy boots for the flower girls! The couple opted for emerald green garlands and rustic wood details as the focal design elements for their wedding day. Antique bronze and brass decor added the perfect metallic touch to their hand crafted wooden signs that served to welcome guests and invite them to find their tables. The elegant seating chart combined hand lettered table arrangements with a gold vine pattern that beautifully echoed the setting. Mid-century inspired wooden letters from Pine and Perry added a touch of LOVE to their dance floor, while a vintage marquee sign marked out their bar – sure signs of a great party!